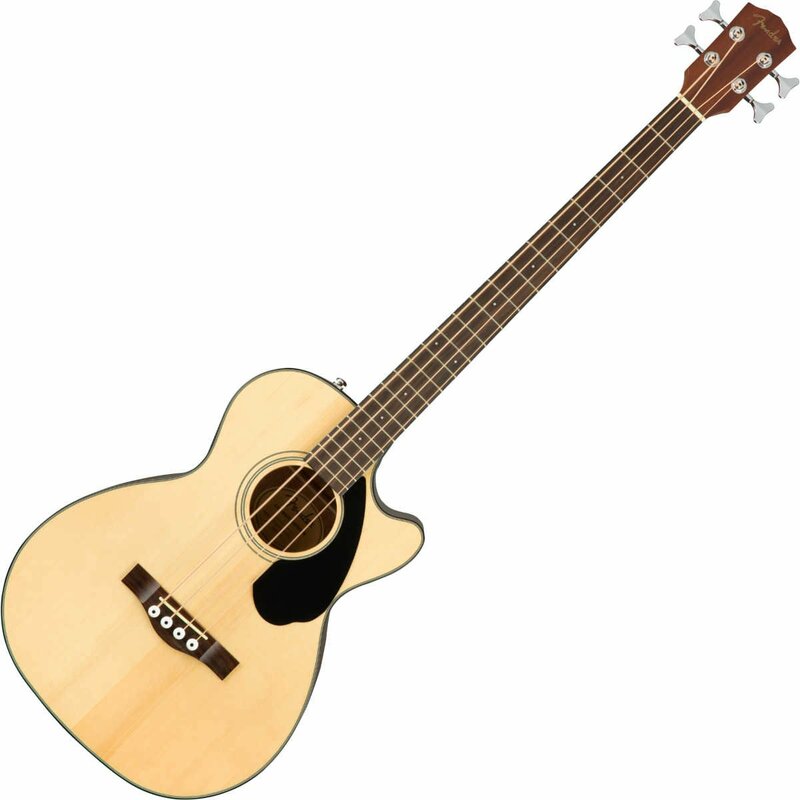 The Fender CB-60SCE Classic Design Electro Acoustic Bass Guitar is the perfect model for all players, from those who are just starting out to pros with years of experience. As we’ve come to expect from the team at Fender, the CB-60SCE is solidly constructed, plays like a dream, and sounds stunning. Throw in the ability to amplify this beauty and you’ve got an absolute bargain in your arsenal. The concert bass body shape gives the CB-60SCE a more diminuitive size than that of a dreadnought, making it more comfortable for those with a shorter reach. The body is constructed using laminated mahogany, which has the enviable characteristic of producing a smooth mid to low-end energy. 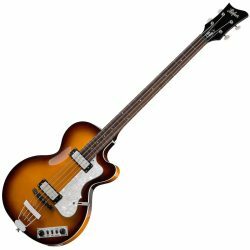 Pair this with the concert body shape and you have a smooth and articulate low-end powerhouse. The use of laminates means that the body stands up well with regard to changes in humidity and temperature. The top is crafted using solid spruce, which is reinforced using scalloped X bracing. The spruce’s natural resonant properties remain unimpeded by the bracing, so its ability to project a glorious acoustic energy shines through. Multi-ply binding adds an elegant touch to the gloss finished top. 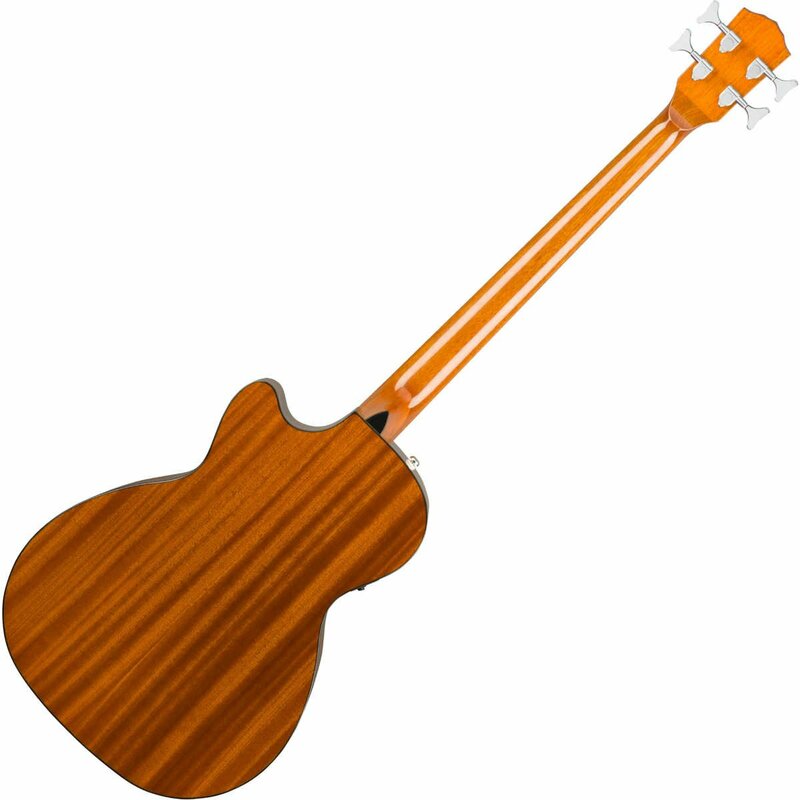 Fitted to the body is a sturdy and responsive mahogany neck, which is shaped to Fender’s ‘Easy-to-Play’ profile. Whether you’re new to the bass or a seasoned performer, this neck is a joy to run your hand along, ensuring a consistent feel throughout. Married to the neck is a sublime rosewood fingerboard, which is home to 22 frets that are adorned with 3mm pearloid acrylic dot inlays. Rolled fretboard edges ensure seamless transitions between frets to maximise playing comfort. 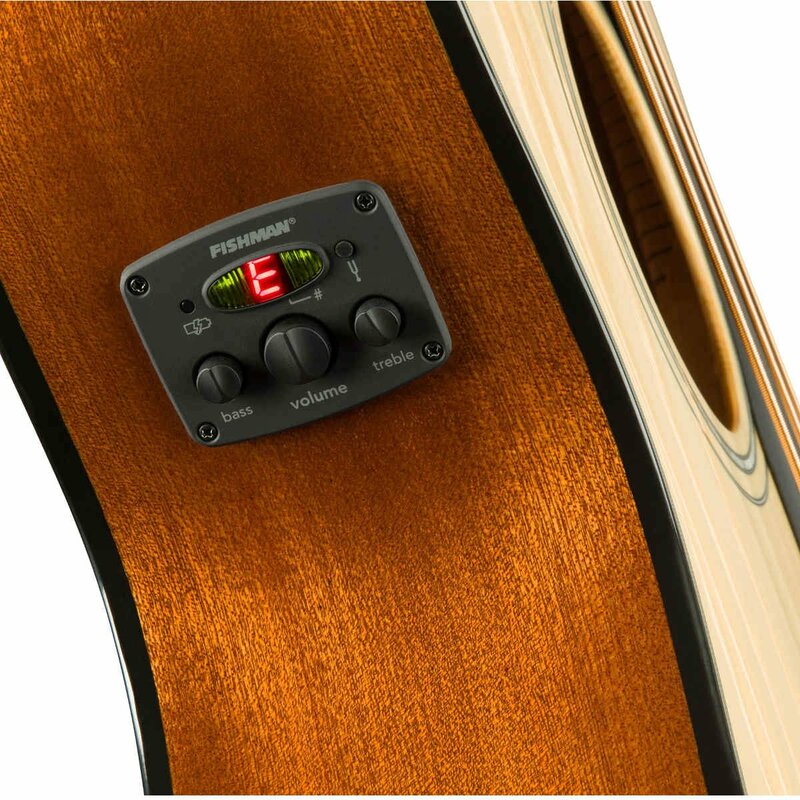 Fender have tasked Fishman with handling the CB-60SCE’s electronics, and their Fishman CD preamp does the job of translating the warm acoustic timbre of this bass beautifully. The control layout is delightfully simple, yet produces highly versatile results. You’ll find a volume control, as well as a three-band EQ for shaping bass/middle/treble frequencies. Tailoring your sound to match your musical style, and performing environment can be done with minimal effort, enabling you to focus on playing your heart out. 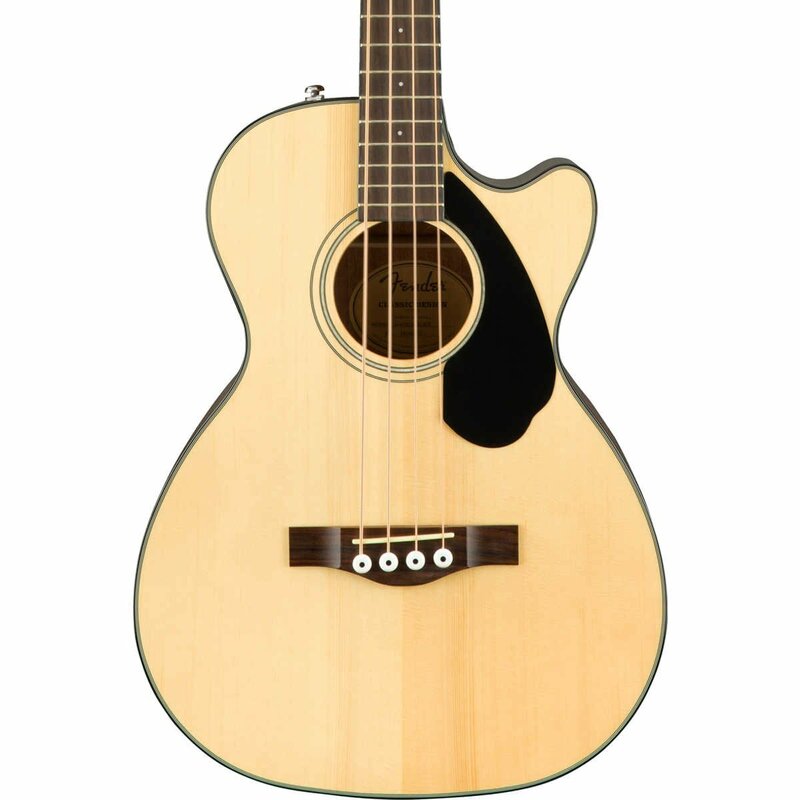 The Fender CB-60SCE Classic Design Electro Acoustic Bass Guitar features a rosewood bridge, which anchors strings securely to optimise intonation and sustain. Chrome die-cast tuning machines dutifully maintaining tuning stability, whilst the plastic nut upholds tension so that you can rock out in peace. Completing the understated aesthetic is a black pickguard, which complements the stripped back finish along with cool chrome hardware.